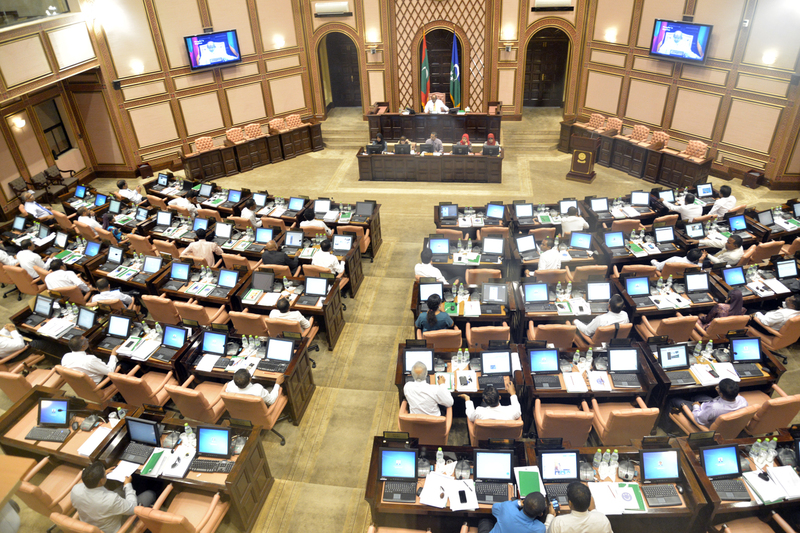 The Maldivian parliament, the Majlis, Citizens’ Council has 48 members. Malé, which is the capital island and each of the atolls has two representatives. The president chooses the remaining eight parliamentary representatives, has the power to appoint or dismiss cabinet ministers, and selects all judges who administer justice under the tenets of Islam. The president is nominated by the Majlis for a five-year term, and the appointment is put to a national referendum. There is no choice of candidates, and a strong vote of support for the president is seen as a show of loyalty to the local political leaders, religious authorities and the country as a whole. The local government of the 19 administrative atolls is in the hands of each atolu verin, or atoll chief. The gazi is the religious head of the atoll and joins the atoll chief in deciding legal matters. 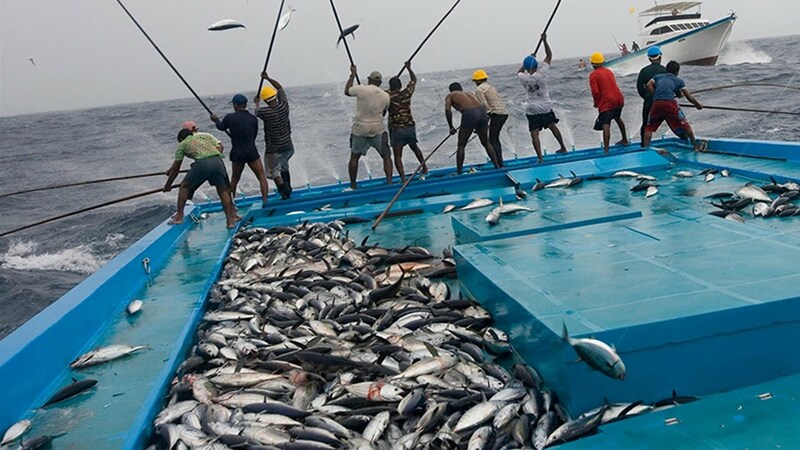 The Maldives has a developing economy based on fishing, tourism and shipping. Statistically, it is still one of the poorest countries in the world, but recent growth has been consistently strong, averaging over 9% per annum for the last 15 years. Much of the population lives and works outside the money-based economy, so activities like subsistence fishing, coconut-gathering and agriculture are not well accounted for in the figures. Statistically, it may be a developing country, but life in a Maldivian fishing village may seem almost idyllic, with none of the squalor associated with poverty in other parts of South Asia. There are no beggars in the Maldives and no one living on the streets. Despite efforts to increase agricultural output, nearly all the food for the increasing population is imported. Agricultural accounts for about 8% of GDP and this proportion has declined over the last decade. Manufacturing makes up about 6% of GDP, with small boatyards, fish packing, clothing and a plastic pipe plant, but mostly it’s cottage industries and handicrafts producing coconut oil, coir (coconut husk fiber) and coir products such as rope and matting. 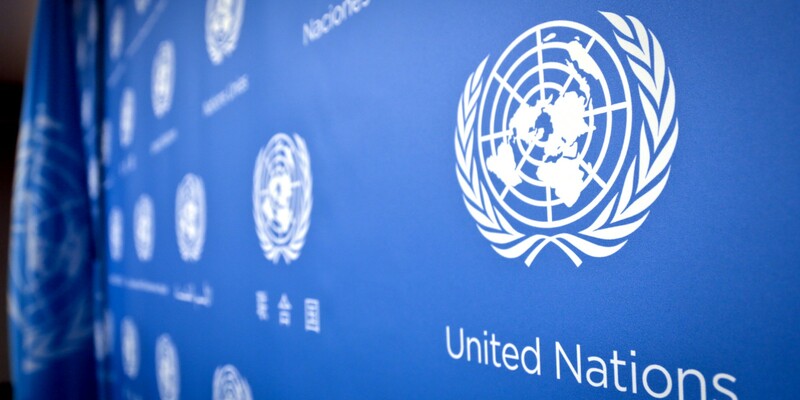 Local craft industries are encouraged to expand with assistance from the United Nations Development Program (UNDP). Fishing, the traditional base of the economy, is still an important export earner but is declining in relative importance. It now accounts for around 15% of GDP and employs 25% of the labor force but contributes about 40% of export earnings. Skipjack tuna is the principle catch, followed by yellow fin, little tuna and frigate mackerel, as well as reef fish such as sharks. The fishing industry was dealt a blow in 1972 when the affluent Sri Lankan market for ‘Maldive Fish’(smoked and dried skip jack tuna) collapsed. The government strategy was to improve productivity by mechanizing the fishing fleet, introduce new packaging techniques and develop new markets. The government took control of a tuna-canning factory in Lhaviyani Atoll and export markets for canned, frozen and salted fish ere opened in Japan, Korea, Singapore and some European countries. Nevertheless, the fishing industry is vulnerable to international market fluctuations. Towards the end of 1981, for example, a glut of tuna on the global market sent the price plummeting. 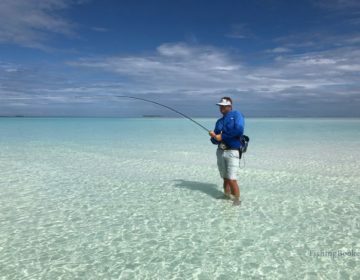 Most of the fish catch is now bought by the government at controlled rates. Most adult males have some experience in fishing, and casual employment on fishing boats is something of an economic backstop. Men are unlikely to take on menial work for low pay when there is a prospect that they can get a few days or weeks of a relatively well-paid job on a fishing boat. It was an Italian tour operator, George Corbin, who saw the tourist potential of the Maldives when he visited the island in 1971. The following year, he bought a group of travel writers to the country for a promotional tour. 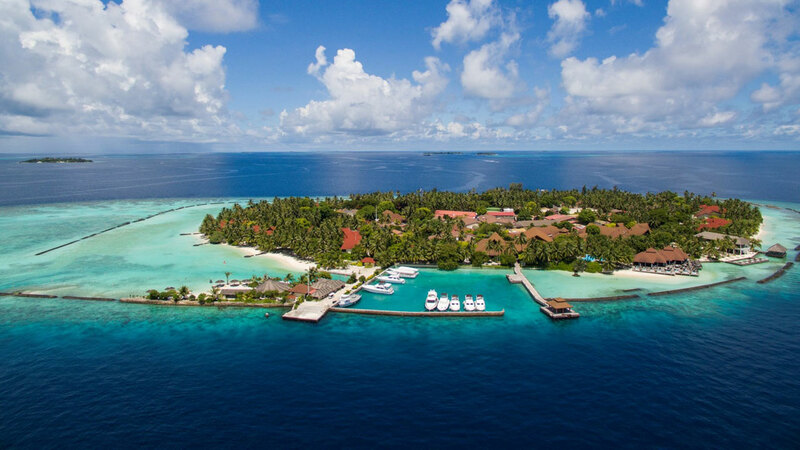 They were enthusiastic, but experts from the UNDP warned that tourism would never succeed in the Maldives as there was no infrastructure, no cultural attractions, no local supplies of suitable food, it was too remote, and the people had no experience. 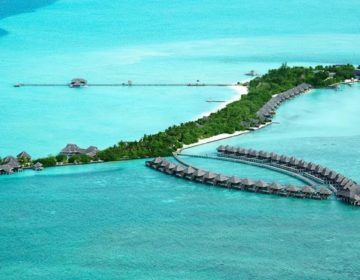 Kurumba Island opened as a resort in 1972 with 30 huts made of local materials. Visitors came on a side trip from Sri Lanka, and they loved it. By 1977 there were 11 resorts, mostly pretty basic, and many being run by foreign investors out for a quick dollar. There were no controls or regulations and soon there were impecunious hippy types renting houses for a few dollars a month, cavorting naked near conservative Muslim villages and using drugs that had never been a part of Maldivian life. There were obvious environmental problems, but the real pressure for change came from the offence to traditional values and the fact that so few economic benefits were being realised. In 1978 there were 17 resorts and nearly 30,000 visitors. President Gayoom came to power that year, determined to put the industry on a sound footing which would generate real benefits for the country. He introduced the bed tax of US$6 per night which was an immediate boon to his treasury. A Danish consultancy firm was employed to prepare a 10-year master plan for the industry. The study identified scuba diving and the ‘Robinson Crusoe’ appeal as the major attractions – the former was not a cheap activity, and the latter was not compatible with mass tourism. It recommended a strategy of developing ‘quality tourism’, rather than promoting the country as a cheap seaside destination. 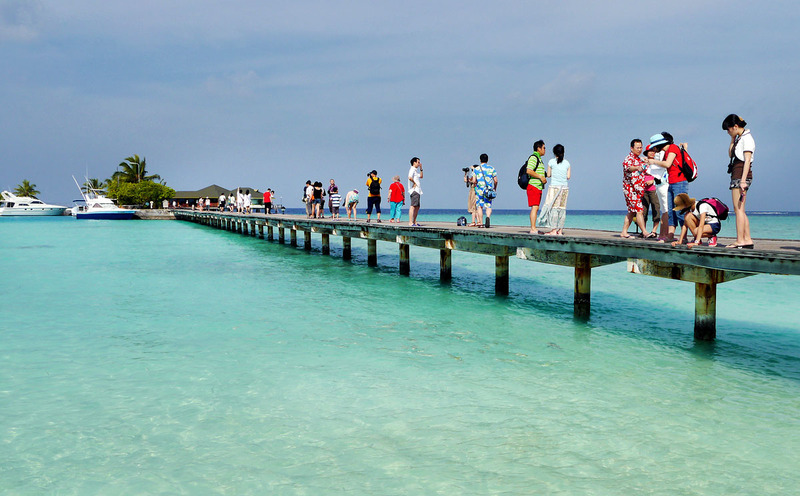 The first Tourism Law was enacted in 1979, and it set the model for Maldivian tourism. 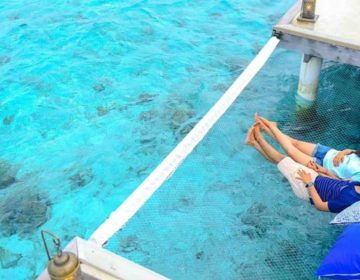 All resorts were to be registered with the government, confined to uninhabited islands and required to conform to strict environmental and quality standards. Part of the strategy is the progressive upgrading of facilities and the general standard of the tourist industry. This enabled the local industry to become established when finance was hard to obtain but ensured that is moved steadily towards the quality end of the market. When the lease on an island expires, the government can require a significant renovation and upgrade as a condition of renewal. 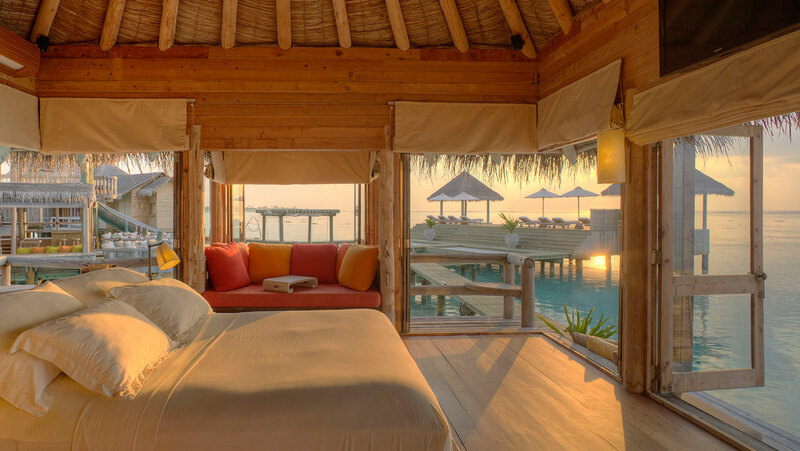 The average cost of developing a resort, per bed, was US$900 in 1979, US$21,000 in 1985 and US$33,000 by 1993. New leases are subject to a competitive tendering process, where the developer with the best plan and the highest bid will get the rights to the island. A 100-bed will now cost over US$4 million to build. The rate of tourism growth has been stunning. The annual number of visitors was 1097 in 1972, 60,358 in 1981, 196,112 in 1991 and over 350,000 in 1996. The industry accounts directly for up to 20% of GDP and contributes indirectly to growth in construction, transport and distribution. It provides over 40% of export earnings. Most of the tourists (75%) are Europeans, especially Germans (23%), Italians (16%), British (13%), French (5%), Swiss (5%) and Austrians (4%). The Asian market is the fastest growing with 21% of visitors, especially Japanese (10%). Various countries contribute the remainder, including India (3%), Sri Lanka (2.4%), South Africa (2%) and Russia (1.6%). Fewer than 2% are from Australia, and fewer than 1% are from the USA. The industry has proved quite robust, surviving the scare of the Gulf War and economic slowdown in Europe. 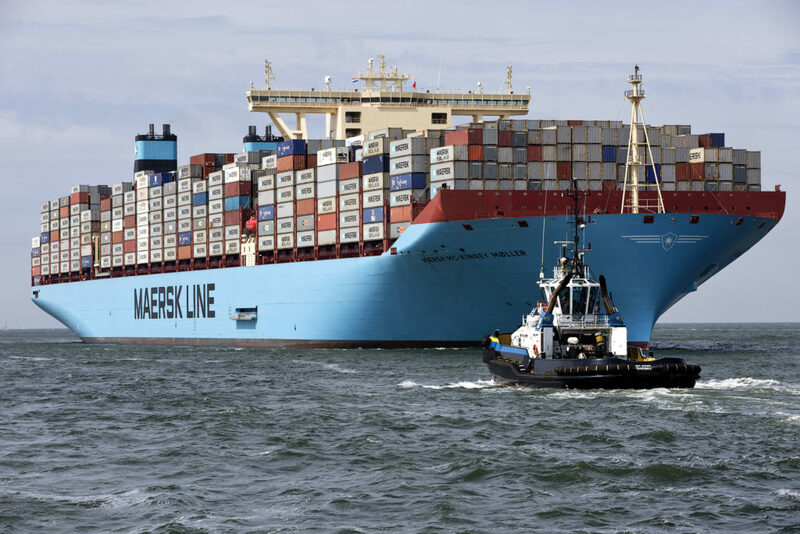 The national shipping line, Maldives Shipping Ltd (MSL), forms the basis of the country’s important shipping industry, but this is also vulnerable to international events. In 1981 there was a glut of shipping, and freight prices crashed. Then the Iran-Iraq war hit the Maldives shipping industry, cutting trade and reducing Maldives Shipping Ltd by two-thirds. Transport has grown significantly as a proportion of GDP (to about 7%), but much of this transport within the country.